Maintenance was performed at two GPS sites in the Basin and Range Geodetic Network (BARGEN) in northwestern Nevada. 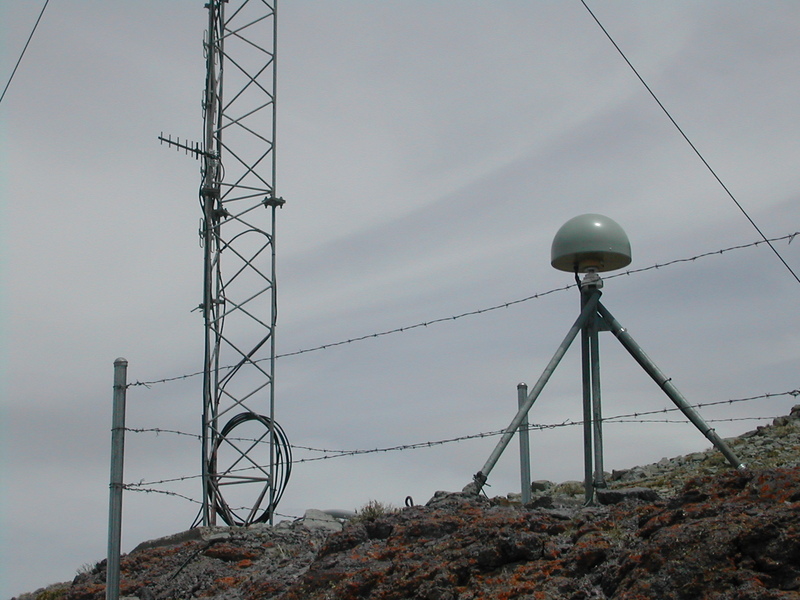 A telemetry relay antenna at the summit of Mt. Lewis was repaired. This antenna relays data from the GPS site at Battle Mountain (BAMO) to a microwave link which then sends the data to the University of Nevada, Reno. Severe winter weather had broken the antenna off from the support tower, and no data could be transmitted because it was no longer pointed toward BAMO. The antenna was reoriented and reattached to the support tower using a much stronger mounting bracket fabricated by UNAVCO engineers. Staff from the U.S. Bureau of Land Management's Battle Mountain field office assisted with this work. The GPS site at Mineral Hill (MINE) was experiencing satellite tracking problems. The GPS receiver and antenna cable were replaced during this maintenance visit, but tracking issues remained. This site has a history of intermittent problems and it now seems likely that these problems are caused by some external factor, such as electromagnetic interference. The Basin and Range province of North America is characterized by tectonic extension. Present day crustal motions are precisely measured by the BARGEN network. BARGEN is a collaborative project led by the California Institute of Technology Division of Geological and Planetary Sciences and the Harvard-Smithsonian Center for Astrophysics.